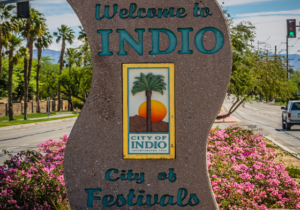 Indio, CA: The City of Indio is currently in the process of updating its General Plan. The General Plan is a state mandated document that represents goals, policies, and programs that provide the framework for the City’s future physical development. The Indio General Plan will address land use, transportation, housing, safety, conservation, open space, noise, public health, sustainability, and economic development. The Interim Draft General Plan is available for review and comments at indio2040.org. The City has scheduled a Joint meeting (study session) between the City Council, Planning Commission, and General Plan Advisory Committee (GPAC) to discuss strategies, key issues, and implementation of the City’s 2040 General Plan Update. The study session meeting is open to the public and it is located at City of Indio Emergency Operation Center (EOC) located at 45222 Towne St, Indio, CA 92201, on April 10, 2019 from 4:00 pm to 6:00 pm. Please also note the Interim Draft General Plan is out for public review. The public review period starts on April 12, 2019 and ends on May 13, 2019. Please provide your comments via email to lnamvar@indio.org, no later than May 13, 2019, at 5:00 pm. The City will not accept any comments after the noted date/time.